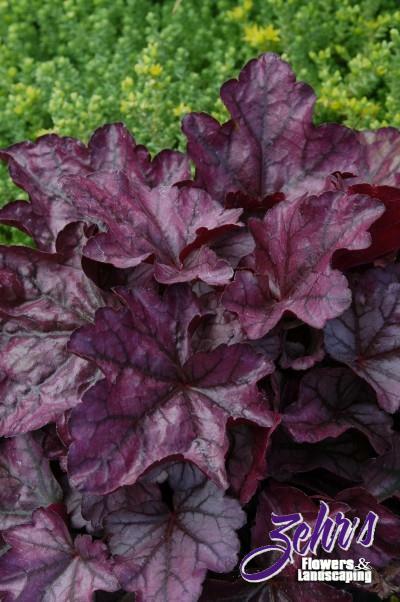 Finally, a Heuchera superior even to 'Plum Pudding'. Blueberry colored foliage has a waxy sheen with a metallic overlay. Each individual leaf is quite large, up to 3-4" across. White flowers on slender stems seem almost insignificant as compared to the dramatic foliage.